Abstract: Recommendation system is now prevalently used as a success key to elevate customer experience and growth the e-commerce businesses and industries. An effective recommendation system specially business should not only recommend items which were frequently purchased in the past by a customer but also should be able to identify the items which were never purchased in past but are likely to be in interest of the customers. In large companies which are operating on tens of thousands of products and thousands of customers the category managers or BI tools can only provide recommendations for the top items, top customers. One the principal factors in design an effective recommendation is to realize the relationship between products based on customer behavior. In general, if two products are related they can be either substituted or complementary. Extracting both complimentary and substitute products provides valuable knowledge for market prediction. Association rule mining is a widely used to discover the relationship between products from business sales data and there are considerable amount of efforts in the literature to improve the efficient and effectiveness of association rules mining. Substitute rules mining are mostly based on negative association rules mining. There are two main difficulties in recognizing substitute products using negative association rules. Firstly, mining negative association rules are computationally very expensive. Moreover, negative association rules usually generate a lot of redundant rules and needs. In this talk we introduce an innovative approach to discover substitute product by deriving the similarities of products based on corresponding association rules. The proposed method is computationally efficient and effective. We will present a case study to demonstrate the application of proposed method in B2B e-commerce business. Bio: Amir Meimand is Zilliant Director of R&D, pricing scientist, where he designs and develops pricing solutions for customers and performs research in which he applies new methods to improve the current solutions as well as develop new tools. 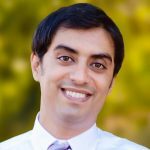 Prior to joining Zilliant, Amir helped design and develop a promotion planning and pricing platform for B2C retailers. Amir holds a dual Ph.D. degree in Industrial Engineering and Operations Research from Pennsylvania State University. In his doctoral work, he applied operations research concepts to dynamic pricing and revenue management.